Routes News Archive – A small sample of some of our projects over the past ten years. There are too many to feature them all on this page, but each new one is featured in our twice yearly Newsletter. 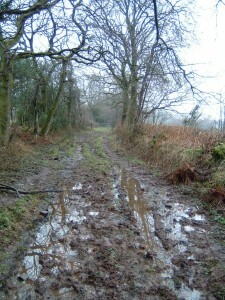 Tennantsfield bridleway. A big project for 2018 joint funded with The British Horse Society and Somerset County Council. 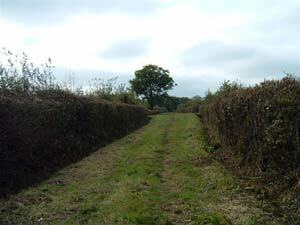 MBBA believes that when a route needs to be cleared it should be cut right back. 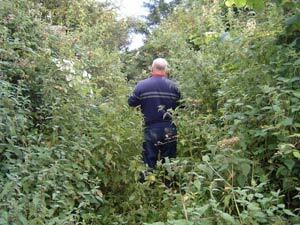 This enables several year’s use so that it does not disappear under brambles in just one year. Clearance carried out by the Council is now down to a bare minimum with many routes receiving no attention at all. It is vital that we keep our existing routes open as well as reclaiming lost ones. 2017 Now a lovely clear ride through pretty woodland that can breathe! 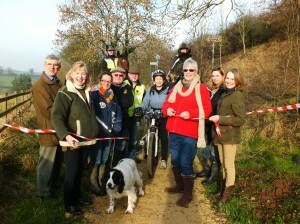 The opening of a New Route created at Kilmersdon in 2016; Achieved through the Paths 4 Communities fund. This short stretch of bridleway enables riders to access the Multi User path from the bridleway network. Three Ashes In response to an MBBA member’s request, the committee duly walked this bridleway in the Autumn of 2009 together with Sheila Petherbridge, who was at that time, the Rights of Way Officer for Mendip District Council. As you will see from the photos, the route was in a pretty bad way and riders were not using it when wet. Large rocks were embedded in the ruts and the surface was very boggy and impassable in places. 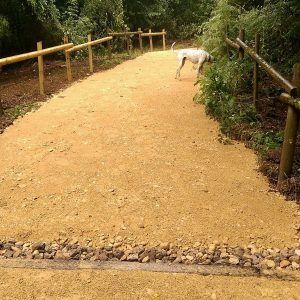 A considerable budget of over £3,000 and a detailed job spec were agreed with the MBBA contractor, Russell Bateman and after a very wet winter, work commenced in June 2010. The improvements are obvious in the photos below and should result in a good all-weather surface for many years to come. The clean-stone topping will bed in and mud will be walked across the path enabling grass to grow in due course. Shortly, the gates are due to be re-hung and horse friendly latches will be added to enable riders to enjoy an unhindered ride through this pretty area. Yuk – I’m not going through that! Same place – Spot the difference. Job carried out by Russell Bateman. 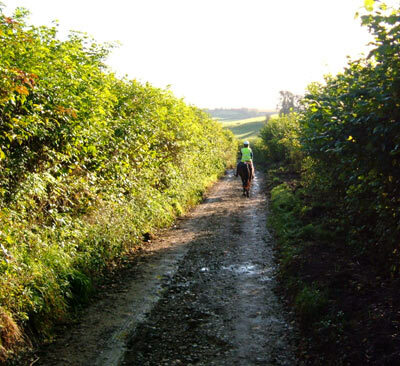 Mill Lane, in West Compton has always been a popular route for local riders as there are very few bridleways open to horses in this area. 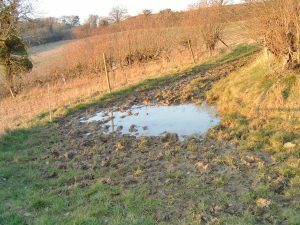 However, in wet weather, it took on the character of a muddy river bed and was totally unusable; each year it deposited tons of mud, debris and water onto the adjoining road, blocked the drains and in turn then gushed down into the hamlet. 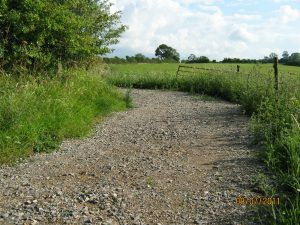 Finally in May of 2010, after many years of pressure from MBBA, Highways did a very good job of refurbishment on this ancient and pretty lane, digging out the ditches, diverting the stream and levelling the route, revealing a delightful track for all to enjoy. But not for long!! If you ever encounter illegal vehicular access or evidence of it on a bridleway or restricted byway, please take the registration number of the vehicle, 4 x 4 or motorbike and a note of the time and date and report to MBBA. We will, if you wish, contact the police on your behalf. 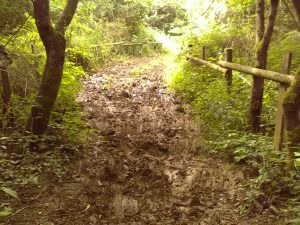 About 5 years ago, local member Lynda le Ray drew our attention to Watery Lane which was proving hazardous for local riders. 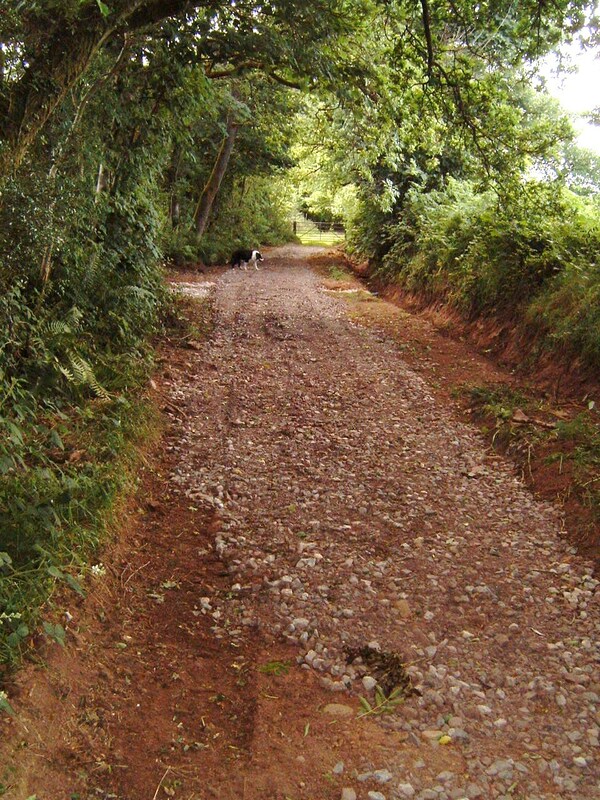 Lynda kindly ran a fun ride to raise funds to improve this route and after very long and drawn-out negotiations with Somerset County Council, the contractor has finally finished the job and comparison photos are below. This is a jointly funded project between MBBA and SCC and the long delay was partly due to the working conditions and the nature of the specification. 2nd phase starts in 2019. After three years of negotiations, the entire lane length has finally been resurfaced, ditched and hedged. There have been many glitches along the way and thanks go to member Yvonne Sommer for relentlessly pursuing Highways, which eventually did a splendid job on this route. Burnt House Drove was claimed as a dedication several years ago by MCTT, however the surface of the route was not improved at that time in line with SCC guide lines and as such has been extremely boggy for many months of each year, thus rendering it unrideable in all but the driest conditions. MBBA member Irene Minty was concerned by this situation and speaking on behalf of local riders asked MBBA for their help. After a number of site meetings, work commenced on the gateway area earlier this month and the results are shown below. 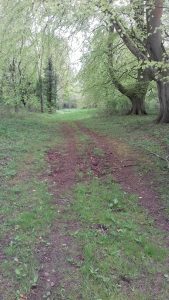 Having negotiated match funding with Mendip District Council, MBBA have allocated a further £2,000 (half the cost of the £4,000 bill) to be spent on this route in August in order to create a good riding surface. 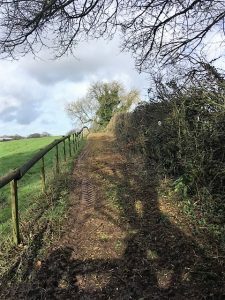 For the whole project, the total bill for MBBA will be nearly two and a half thousand pounds – money well spent in order to bring the route up to standard and allow riders to use this pretty lane. The photos show the route as it is today; the ‘after’ shots will be available for comparison when work is completed!! Contractors are due to begin work in the latter half of August and while this resurfacing is in progress it is regretted that the route will be closed for a week. Tanners Lane – A Successful Result at Public Inquiry. No objections were received by Somerset County Council regarding the outcome of the recent Public Inquiry into the lane’s status. The inspector ruled that the route should be reclassified as a BOAT (Byway Open to All Traffic) and changes will therefore be made to the definitive map to reflect this. This route is now open to riders. The squeeze stile has been removed and the top half of the lane has been fenced to protect adjoining stock straying onto the route. The cost of clearance and fencing was funded jointly by the land owner and MBBA . Although this route has been classified as a BOAT, you should not meet motorised traffic while riding this narrow lane as it exits onto Restricted Byways at the Northern end thus making it, in effect, a dead-end with no turning place for vehicles. 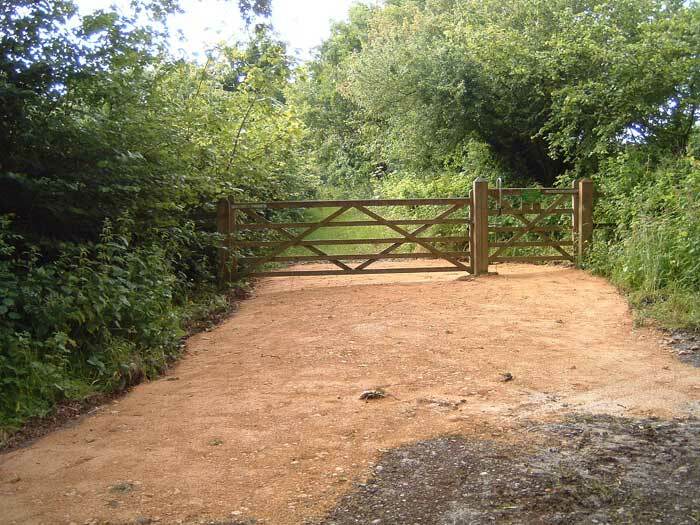 Horse riders will now be able to access these Restricted Byways more safely without riding on the busy main road. Mendip Bridleways and Byways Association have recently improved the condition of these two Droves using money raised from the excellent Glastonbury Festival Fun Ride held in September 2007. 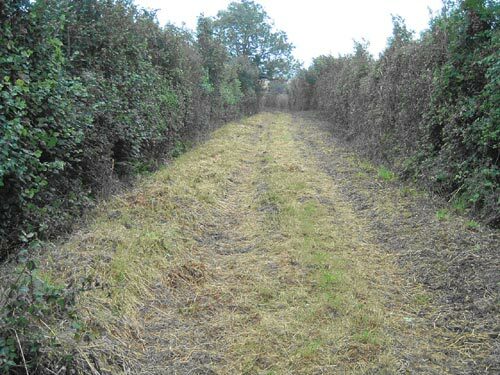 Local landowner Bernard Kingston assisted by doing a superb job of cutting back hedges and digging out the ditches. 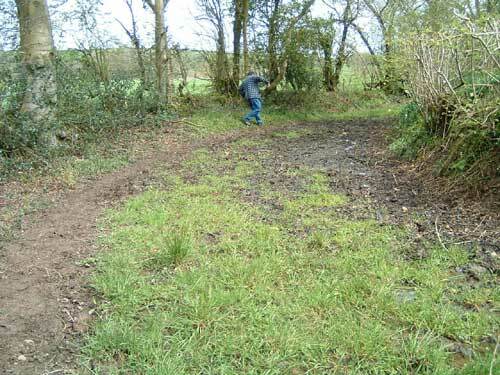 Local contractors Tom Yeoman of Ditcheat and Roger Cox of East Pennard did a good job improving the surfaces. 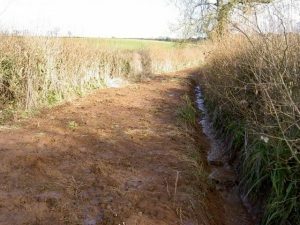 For many years local horse riders from around East Pennard, Ditcheat, Parbrook and Lottisham had been asking for help to improve the surfaces of the Droves. 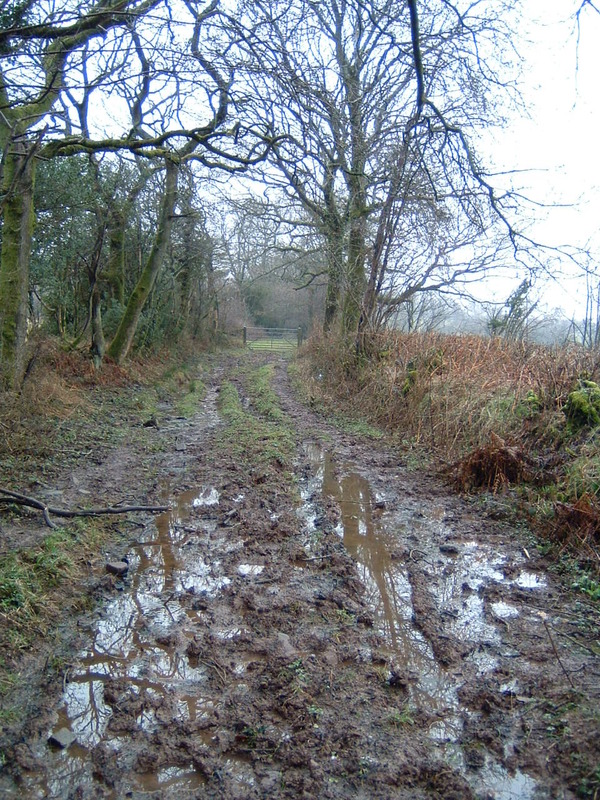 Over the years lack of maintenance and neglect had resulted in the route becoming virtually impassable for horses because of thick clay bogs, brambles and fallen trees. There are very few safe off-road routes for horse riders to use in this area and therefore Hembridge and Huckeymeade are important as they allow riders to get off the narrow lanes and busy roads. Unfortunately because these two Droves were not on the Definitive map as either an unclassified county highway or bridlepath, Somerset County Council and Mendip District Council were unable to help so MBBA decided to use the money raised from the Fun Ride on the Festival ground to improve the route. A total of £2,900 has been spent on Hembridge and Huckeymeade by MBBA, with both Droves being open to riders from November 2007. Again special thanks to Bernard who gave us so much help and support. 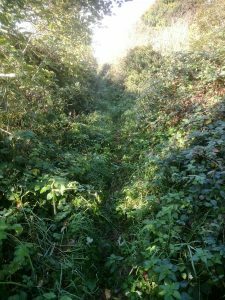 This restricted byway running through beautiful woods behind East Pennard church had become unusable by horse riders due to extensive overgrowth of vegetation and the fact that a stream with steep banks bisects the track. 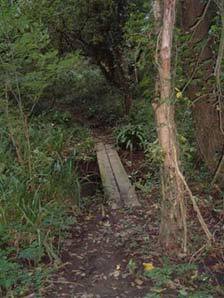 The crossing of the stream was only possible on foot using two planks of wood. Kennel Lane was looked at in detail jointly by MBBA committee members and Shelia Petherbridge (Mendip District Council Rights of Way Officer) with a view to reopening it to horse riders. 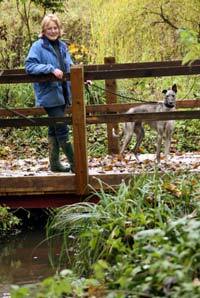 With Shelia overseeing the work, the route was cleared and an “equine” bridge was installed by MDC over the stream. The bridge is wonderful, by the way, so do get out there on your horse and use it! 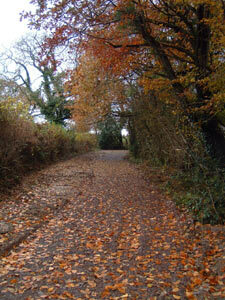 This route was fully open by November 2007 with MBBA contributing £1,800 towards the costs. Our thanks go to Shelia for overseeing this successful joint venture between MBBA and MDC. The improved Kennel Lane is now enjoyed by local dog walkers and cyclists too, which is good news. If any local rider would like to become a member of MBBA or help at our Fun Rides please call 01749 831 276. 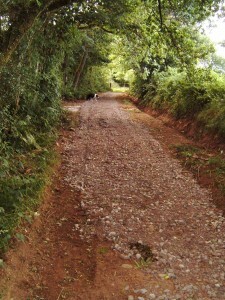 Further surface works have now been completed, funded by MBBA and Mendip District Council.